Trump needs to lawyer up. 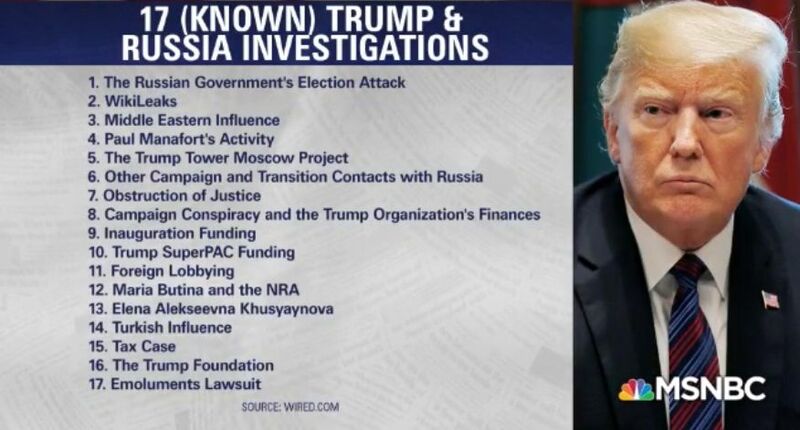 Lawrence: We're going to need a bigger boat for Trump lawyers There are now 17 investigations into President Trump and Russia, according to WIRED, and there'll soon be more when Democrats take control of the House. Lawrence says that Team Trump will have to hire a boatload of new lawyers to keep up. Joyce Vance, Mimi Rocah, and Jennifer Rubin discuss. That's too many crimes to escape from with the third rate lawyers Trump has (Rudy was just a 9/11 shill - proving he's a traitor at heart - and has no 9/11 power of his own, which is what Trump must be counting on)! Trump is going to need a TON of lawyers!